Finding out that a child has an autism spectrum disorder (ASD) can put an enormous strain on families, and the quality of support offered by professionals at this time can make a huge difference to how they adjust to the news. 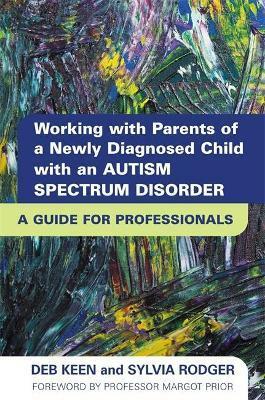 This book comprehensively sets out the type of support that is most beneficial to families immediately following an ASD diagnosis, and will equip professionals with the information and tools they need to best provide that support. The authors provide all of the key information professionals supporting families at the time of an ASD diagnosis need to know about the diagnostic criteria of ASD, key characteristics, aetiology, prevalence, and prognosis, and explain how to pass on accurate and meaningful information to families, and how to build effective family-professional partnerships. Drawing on extensive research and interviews with 50 families of children with ASD, they provide strategies for helping families understand the options and make informed choices about early intervention programs, set realistic goals, develop effective parenting strategies that build upon the strengths and capacities of the child, and strengthen family support networks. This is an essential resource for any professional involved in supporting families at the time of, or immediately following, an ASD diagnosis, including psychologists, occupational therapists, speech and language therapists, general medical practitioners, and educators.